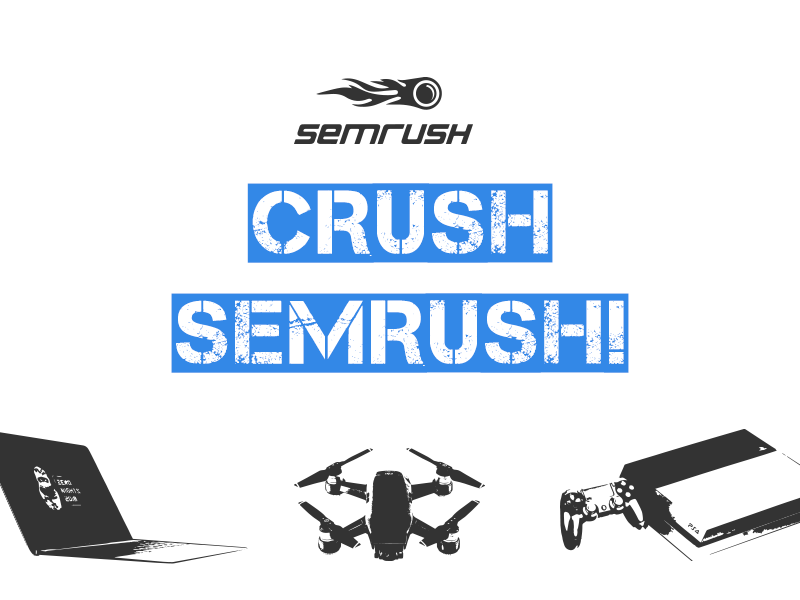 Crush SEMrush! The most intense contest by our partners – SEMrush! IT company! What is needed to be done to get the bombastic prizes of the contest? Uno. Go to semrush.com. The guys disabled WAF till November 21, 4 p.m.
Dos. Discover a vulnerability in the service. Tres. Report it to us! The authors of top 3 reports will get MacBook Air, Sony PlayStation 4 Pro or DJI Spark quadcopter. Do it! The countdown starts now! P.S. SEMrush will not budge an inch? Here is a lifehack for ya: wait till the conference starts, find people wearing SEMrush t-shirts there, get your promo code from them to access the paid version of the platform. This will grant you access to its rarely-checked functionality, which means your chances to find a most dangerous vulnerability will skyrocket right into the stratosphere.